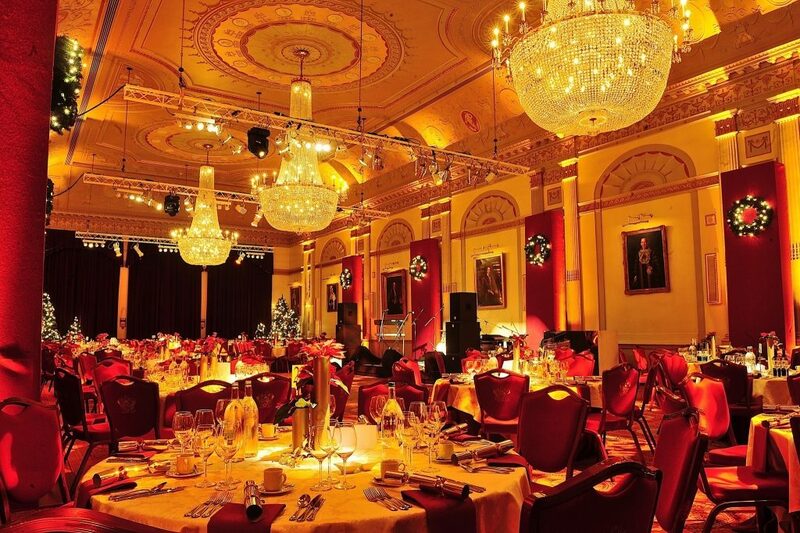 The breathtaking One London Wall is an extraordinary City event space for Christmas parties in London. 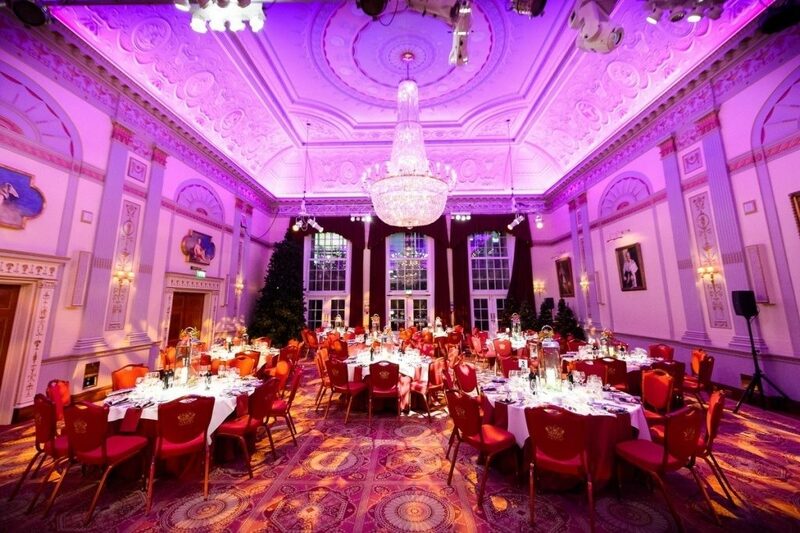 The venue boasts elegant and beautifully finished neoclassical décor throughout. The Great Hall in particular is destined to impress with corniced ceilings, the finest gold chandeliers and floor length windows. The venue also offers a selection of smaller spaces, each equally as fine. 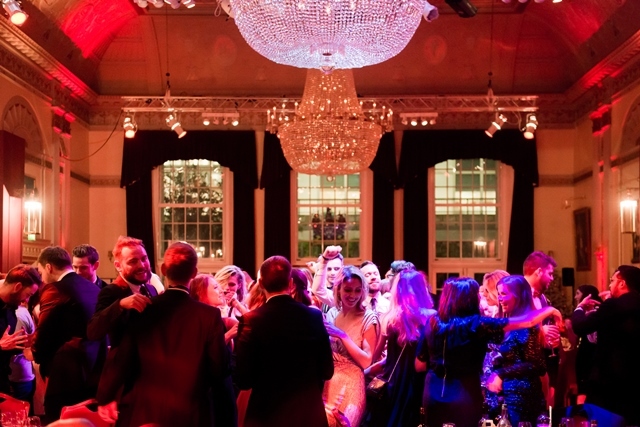 Benefiting from close proximity to Moorgate tube station, One London Wall is the perfect venue for seasonal entertaining. Our resident catering team, the award-winning Create, provide sensational seasonal menus for winter events. The entrance to the venue includes a traditional Christmas scene with Christmas trees and piles of presents. Design details include festive florals, berry wreaths hanging from the balcony and table settings are finished with crystal cup candelabras.